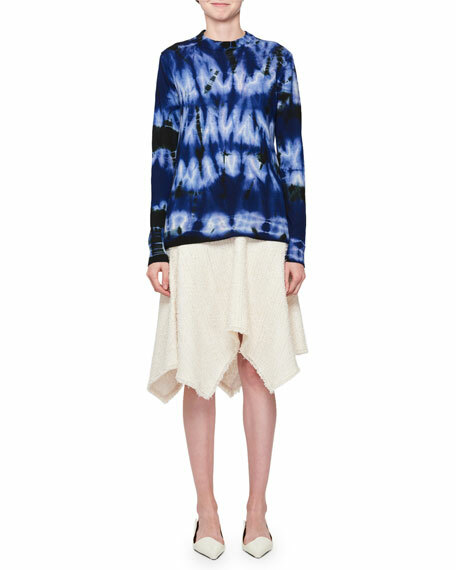 For in-store inquiries, use sku #2378569. 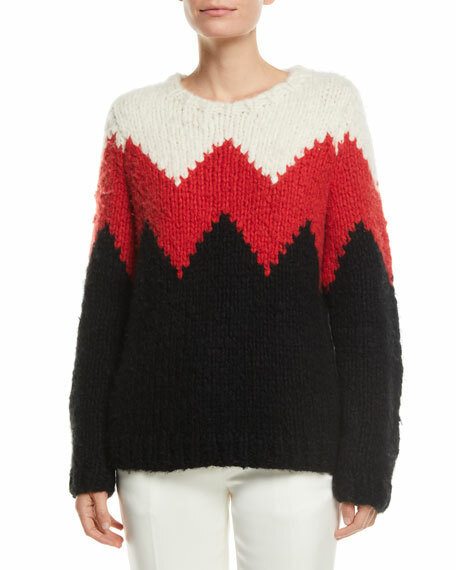 Rag & Bone "Cheryl" speckled sweater. Approx. 21"L from shoulder to hem. Crew neckline. 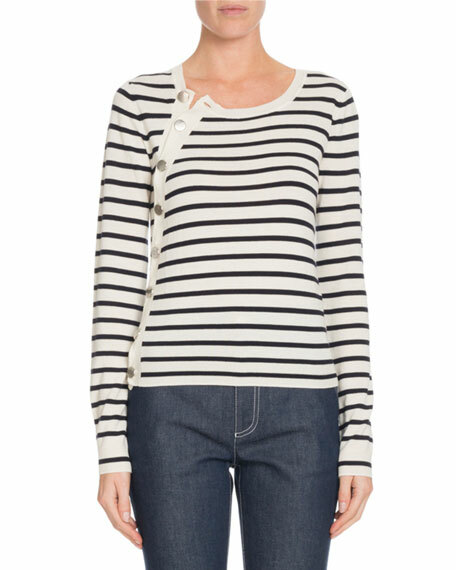 Long sleeves; striped cuffs. Slim fit. Pullover style. 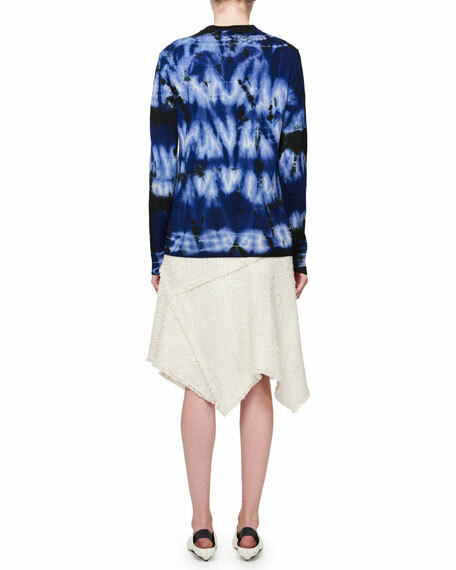 Wool/nylon/viscose/cashmere. Dry clean. Imported. 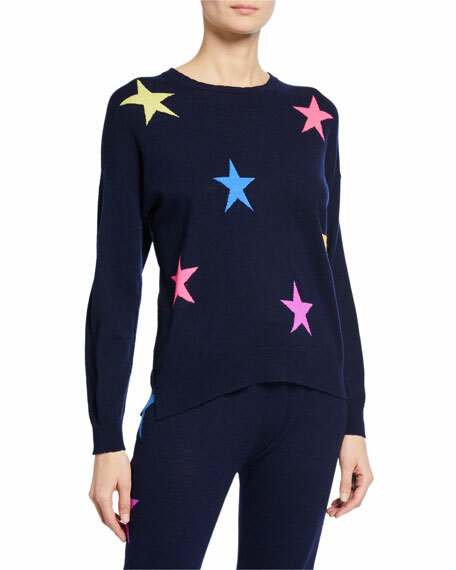 Sundry wool-blend sweater with multicolor scattered stars. Crew neckline. Long sleeves. Heart knit-in at left elbow. Relaxed silhouette. Vented sides. Even hem. Pullover style. Wool/cashmere. Imported.